SM Supermalls unboxes new happenings for kids and kids at heart this October with the launch of Kids’Month in 64 malls nationwide. 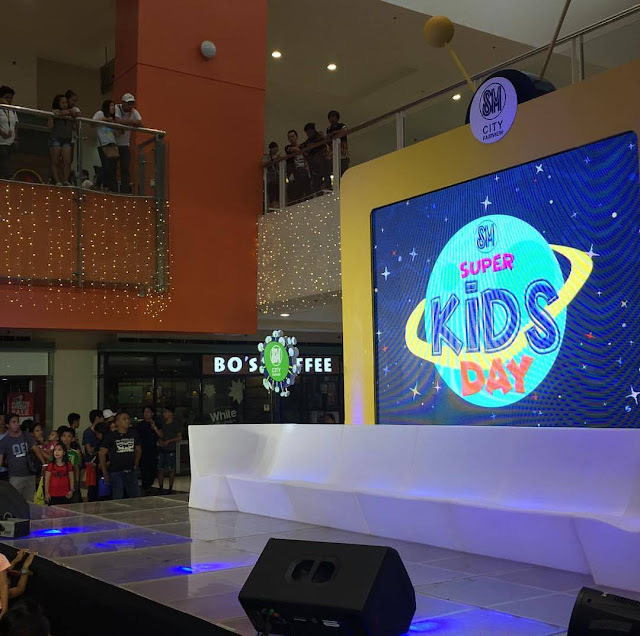 At a media launch titled 'SM Super Kids Day' held last October 1 at SM City Fairview, the retail giant announced a season packed with fun-filled celebrations especially designed for kids like United Nations Day and the well-loved Halloween. THOUSANDS OF KIDS with their families gathered at the SM Kids' Month 2017 Grand Kick-Off Party at SM City Fairview. 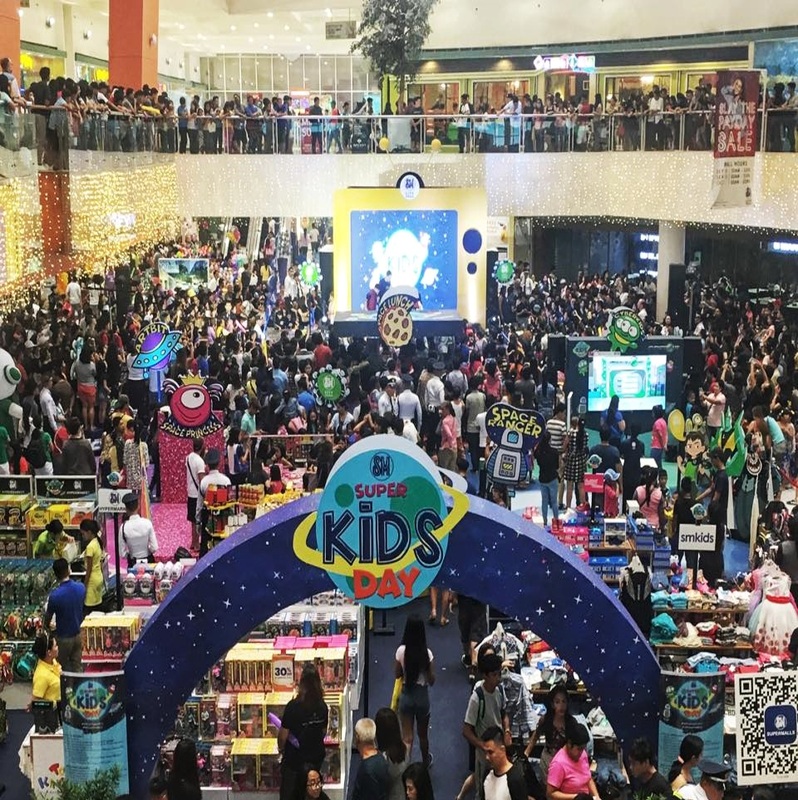 A fun and exciting field day where kids and the whole family can shop, play enjoy, eat, and win prizes – SM Super Kids Day fittingly showcased what customers can enjoy in the malls this Kids’ Month. It’s also the perfect season to splurge on gifts for kids and avail big discounts on kids’ clothes, shoes, and toys at The SM Store Kids’ Month Sale and at the Baby Company.Also not to be missed is the amazing Toy Kingdom Halloween Sale. On October 10 to 24, a grand display of world flags sets the mood for a two-week celebration of United Nations Day. SM’s “All Together for One World” features Dances Around the World performances, World Market food fairs, and the kids’ favorite, National Costume Parade Contest. Customers can also check out Art for Peace – an art exhibit by local artists and schools sending messages of peace for all. Culminating Kids’ Month is SM’s “Spooktacular Halloween” from October 20 to 31. As the Monster Fun Fair begins on October 20 offering great deals on trick-or- treat needs, beloved pets can then join the excitement at the Petrifying Halloween costume party for pets and owners on October 21/22. Approaching Halloween’s Eve, everyone is invited to the much awaited Costume Contest on October 28/29 for adults, and on October 31 for kids. Also on October 31, the young trick-or-treaters can continue the fun at the photo Halloween Studio by Vivo, and by visiting SM Hypermarket, SM Supermarket, and SM Cyberzone for treats and goodies. #SMKidsMonth2017 on Facebook for a chance to win exciting prizes for their kids’ and fun adventures! For more about SM’s Kids’ Month and exclusive news about SM Supermalls, visit www.smsupermalls.com or follow SM’s official social media accounts on Facebook, Twitter and Instagram; and get an insider access to all the fun happenings at SM Supermalls nationwide through SM’s Viber Public Chat. Tweet your thoughts, upload and share your photos about your memorable moments at SM, then use its official hashtag #EverythingsHereAtSM.